If there's one thing people love, it's being able to use just one pot or pan to cook a delicious weeknight meal. These all-in-one entrees minimize the amount of dishes you have to do at the end of the night and makes cooking for a group feel a little more relaxed. But don't think that using just one pan or skillet will limit the flavor profile of any recipe. These dishes have all of the classic and zesty flavors you'd find in the traditional Italian versions. A little secret? I actually use plain tomato juice, like V-8, to make roasted chicken extra tender! It may not be wine, but feel free to take a sip while cooking. 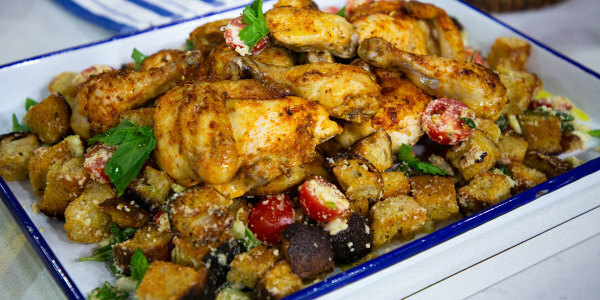 This recipe captures the flavors of a classic cacciatore dish in a tender and juicy roasted chicken. The side dish is an opportunity to use up any day-old bread, plus, it's made right alongside the chicken so it's an all-in-one meal. 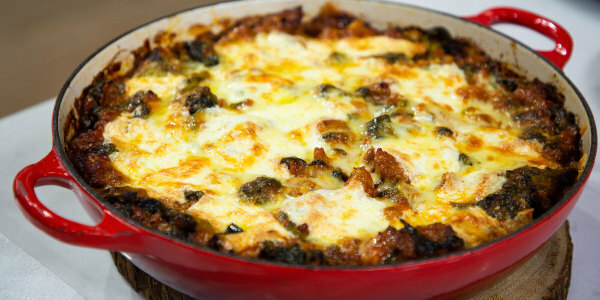 This one-skillet savior is ideal for people who love to make lasagna but hate cleaning up after. 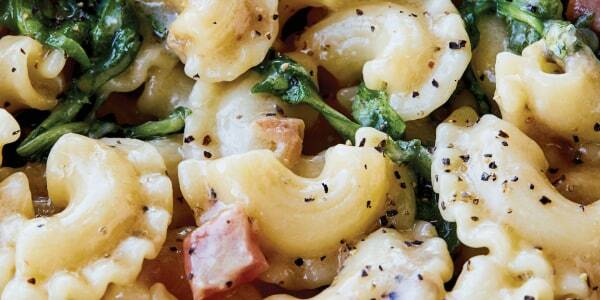 Using no-boil lasagna noodles makes it so easy to cook all the ingredients one place. Plus, it's got a little kick. 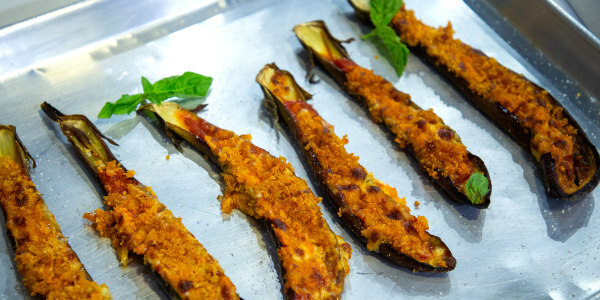 For more family-friendly recipes, try my Cacio e Pepe with Pancetta and Arugula and this leaner version of eggplant Parmesan.